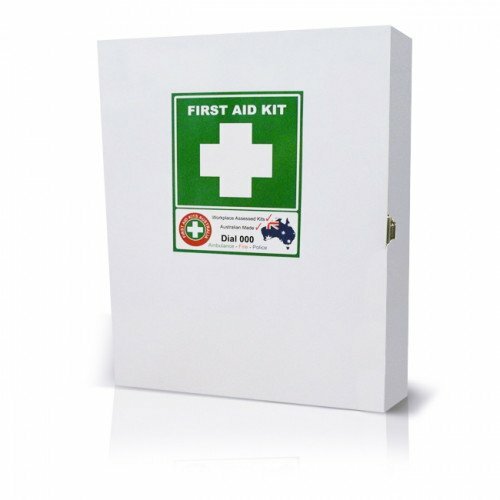 Our K800 Safe Work Australia Compliant First Aid Kit is designed for a Low to Medium Risk Workplace of up to 35 workers. 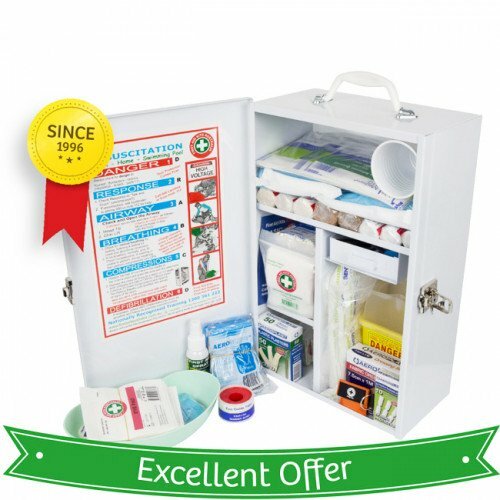 It has a durable metal wall-mount cabinet and contains only quality medical products you can rely on in an emergency. The K800 Workplace First Aid Kit provides cover up to 35 workers in a Low Risk workplace or 25 workers in a Moderate Risk environment. It is Safe Work Australia compliant. 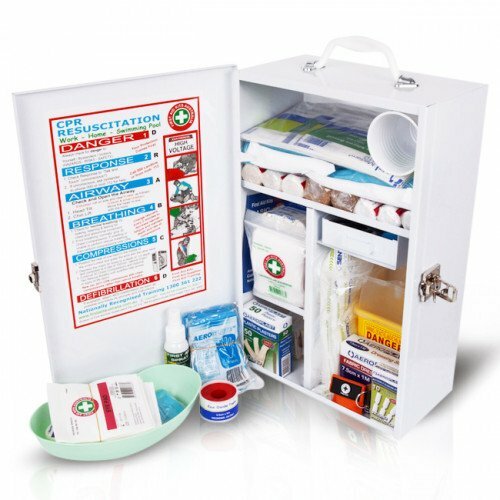 Inform your employees where the First Aid Kits are and ensure they are properly trained to use the items within.